Swim, play, dine, relax or socialize � you can do as much or as little as you want at Valencia Sound. 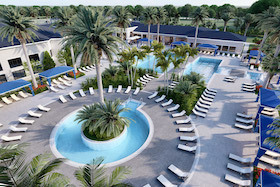 Our nearly 39,000 square-foot Clubhouse with upscale indoor and outdoor amenities, including a full-service restaurant, sports lounge and multiple pickleball, tennis and bocce courts, provides the ultimate 55+ lifestyle in Boynton Beach. 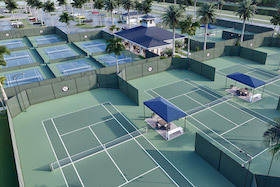 Hundreds of clubs are available to join, Broadway-style shows and entertainment are found in the Social Hall, classes on everything from art to fitness are scheduled at the Clubhouse, and tournaments are held at the world-class Racquet Club. You'll never want to leave The Club at Valencia Sound! 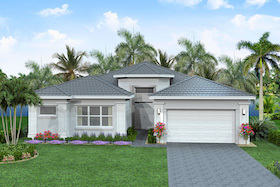 Created for 55+ living, the single family homes at Valencia Sound offer the best new home designs in Boynton Beach with spacious great rooms, large gourmet kitchens, plus screened and covered patios perfect for enjoying outdoor living year-round. Your new home will come filled with luxury standard features, including impact-resistant windows and doors, tile roof, brick pavers, stainless steel and gas appliances, designer tile flooring throughout main areas, and so much more. 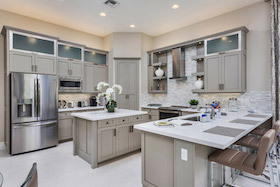 Valencia Sound offers four collections of home designs with prices starting in the high $400�s. Choose from Mediterranean, Transitional or Contemporary styles, and discover your dream home at Valencia Sound today!